In 2005, the first Fatburger Canada opened in the popular English Bay area of Vancouver, BC. And while our roots are from California, Fatburger in Canada is Canadian owned and operated – and proud of it! What makes our award winning burgers so special? Premium ingredients. We start with fresh, never frozen Alberta Angus beef. No additives, binders or fillers. Then we add fresh cut lettuce, tomatoes, onions and your choice of free toppings. 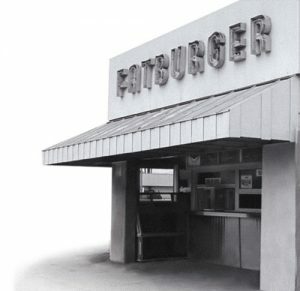 One bite and you’ll know why Fatburger has been a burger icon since 1952! Now here’s just a few things to make you drool over your keyboard: home style onion rings made fresh daily from real onions. Hand-scooped, real ice cream shakes. Chicken tenders lightly battered and hand breaded – when you order them. All served with a smile. Big. Juicy. Tasty. Now THAT’s a Fatburger!